It's here! studio calico's february kit - sugar rush is now live!!! 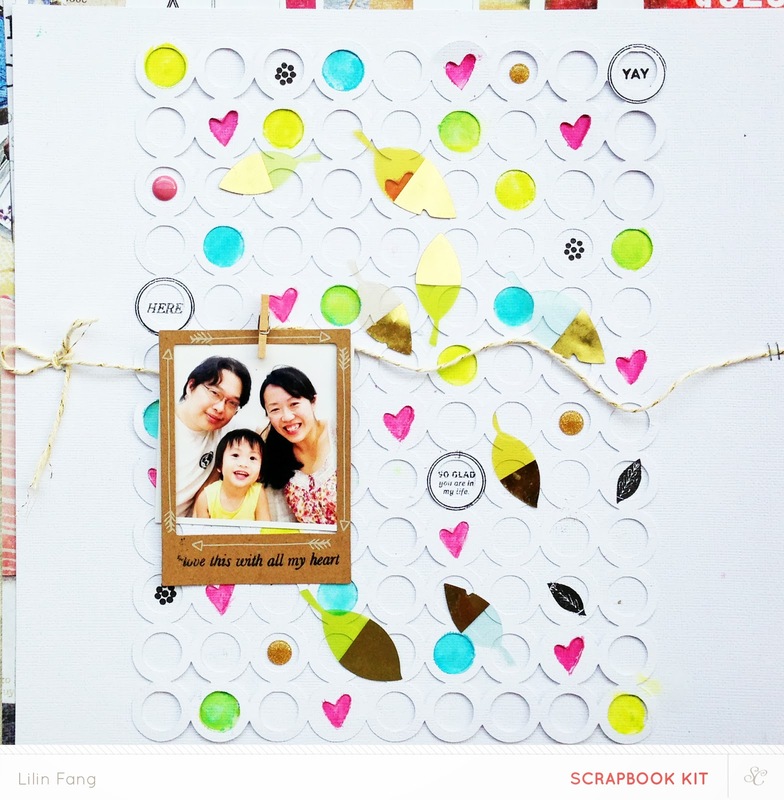 this month's kit is filled with lots of sweetness and i'm so happy to receive the main scrapbook kit, rock candy (add on 1), jelly beans (add on 2) and gum drop (add on 3) from studio calico to play with. each of these kits are so pretty and i'm in love with them! here's what i made this month! to see detail shots and what products i used, you can click on each of the layouts. this first layout is made using only the main kit. 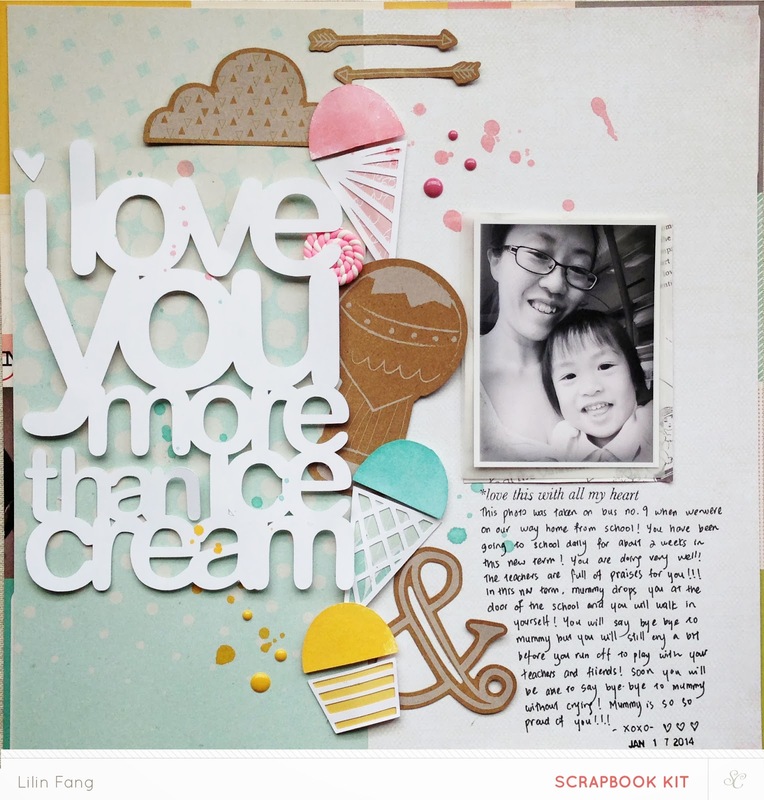 I love these ice cream cut files by life love paper! when i saw these files for the first time, i knew i wanted to make a layout with this title, so i went ahead and cut the title and a bunch of ice cream scoops, cones and cups using solar white card stock. I backed the cute cone and cup shapes with patterned paper and used mist in double yellow, mary mary and sea foam to color the ice cream scoops. I also added the cute lollipop to complete this sweet layout! I love this photo of Ethan and his great-grandma. They always have the best time together and I'm glad I manage to capture this treasured moment. 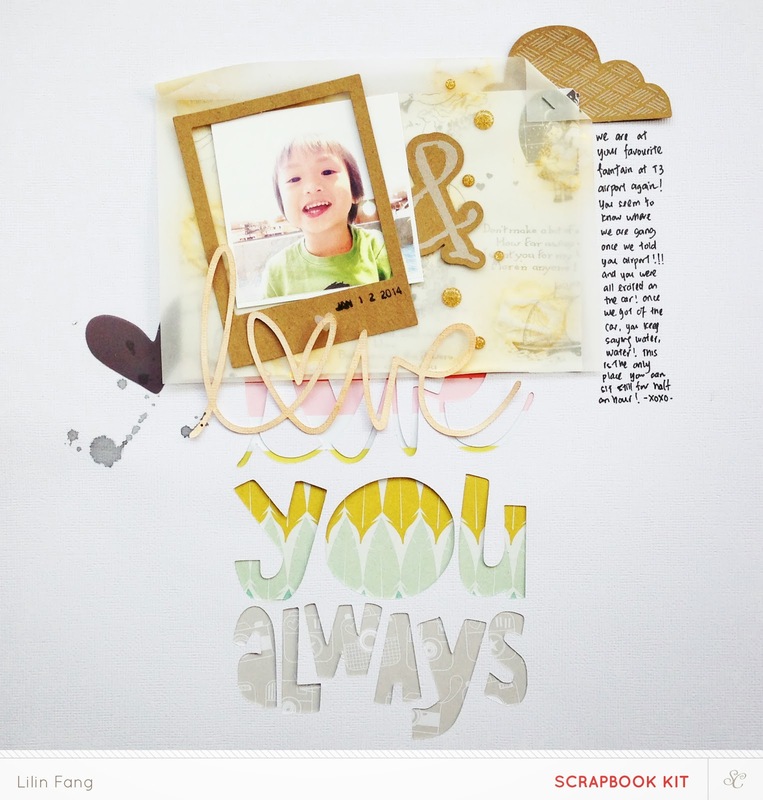 I started this layout by using watercolors to create a rainbow to match the colorful vellum hearts from the main kit. next, i added some embellishments on the vellum hearts by colour. one of my favourite in gum drop is the gold alpha sticker from the lemonlush collection. it's beautiful and i was very happy to use it for my title. to complete the layout, i sprinkled some neon sequins across the page. for this last layout, I had lots of fun filling up the circles and hearts in this cut file by in a creative bubble with gelatos, stamps and the embellishments from the main kit, rock candy and gum drop. I used a twine to make a clothes line and attached the die cut frame and photo to it with a tiny wooden peg. i hope you enjoyed my reveal of sugar rush! remember subscribers can start shopping now, for the rest of the public, reveal will go live on 27th at midnight EST/ 11pm CST and the links to sugar rush will not work till then.